13 August 2010, at 2:44p.m. UK - Meriden Animal Health Limited has appointed Damian Moore as Director of Feed Safety. The Feed Safety Division will offer support, protection and reassurance to customers new and old, in response to the growing demand for safer quality feeds. 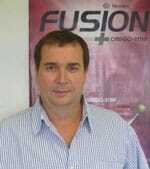 Mr Moore will head up the Feed Safety Division and will implement strategies that will grow and develop the Fusion product range. He has more than 20 years experience in the animal feed industry in Australia and throughout Asia. After graduating from the University of Queensland in 1986, he spent over 13 years working as an animal nutritionist for various feed mills and premix companies. A specialist in ruminant production, Mr Moore also has experience in swine and poultry feeding. He was responsible for the establishment and growth of Biomin Australia and more recently, acting in a Regional Managers role in Asia for ruminant production. He has presented and published numerous papers on mycotoxins at various scientific meetings both in Australia and Asia. In addition, he has been involved in a variety of mycotoxin studies. He is currently undertaking a research project with the University of Queensland looking specifically at the occurrence of mycotoxins and their effects on animal production. He was instrumental in identifying the risk of mycotoxins in straws used in deep litter for both pig and poultry operations. He went on further to classify the occurrence of mycotoxins in forages and effects in dairy and beef cattle. He has also been involved in research with ergot alkaloids, in particularly ergovaline and its effect in ruminants. Meriden recognises the growing need throughout the world to ensure safe feed is being produced for use in the commercial livestock industry. Damian is eager to build upon Meriden's knowledge, expertise and research into mycotoxins and develop effective methods to reduce the risks posed by mycotoxins in animal production.